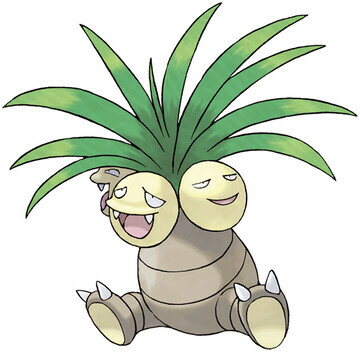 Exeggutor is a Grass/Psychic type Pokémon introduced in Generation 1. It is known as the Coconut Pokémon . Exeggutor has a new Alolan form introduced in Pokémon Sun/Moon. The effectiveness of each type on Exeggutor. 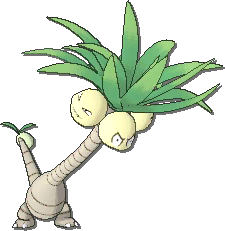 In Generation 1, Exeggutor has a base Special stat of 125. In Generations 2-6, Exeggutor has a base Special Defense of 65. In Generations 1-4, Exeggutor has a base experience yield of 212. In Generations 5-6, Exeggutor has a base experience yield of 182. Its cries are very noisy. This is because each of the 3 heads thinks about whatever it likes. It is called “The Walking Tropical Rainforest.” Each of the nuts has a face and a will of its own. It is said that on rare occasions, one of its heads will drop off and continue on as an EXEGGCUTE. It is called “The Walking Jungle.” If a head grows too big, it falls off and becomes an EXEGGCUTE. It engages its enemies using psychic powers. Each of its three heads fires off psychokinetic energy, tripling its power. Each of its three heads has its own thoughts. When they want to go in different directions, Exeggutor becomes unable to move. 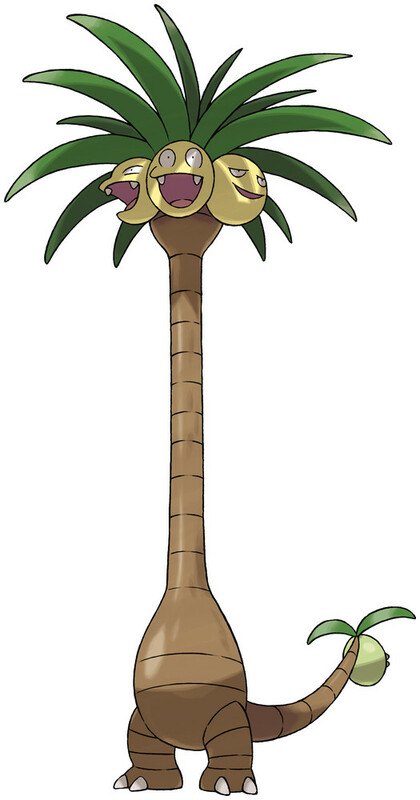 Exeggutor is the pride of the Alolan people. Its image is carved into historical buildings and murals. It swings its long neck like a whip and smacks its opponents. This makes Exeggutor itself dizzy, too. Exeggutor learns the following moves in Pokémon Let's Go Pikachu & Let's Go Eevee at the levels specified. Exeggutor learns the following moves when it evolves in Pokémon Let's Go Pikachu & Let's Go Eevee (regardless of level). Exeggutor learns the following moves in Pokémon Ultra Sun & Ultra Moon at the levels specified. Exeggutor learns the following moves when it evolves in Pokémon Ultra Sun & Ultra Moon (regardless of level). Exeggutor learns the following moves via breeding in Pokémon Ultra Sun & Ultra Moon. Details and compatible parents can be found on the Exeggutor egg moves page. These moves can only be learned in Pokémon Ultra Sun & Ultra Moon by a previous evolution of Exeggutor. Check the respective Pokédex for the exact details. Exeggutor can only learn these moves in previous generations. It must be taught the moves in the appropriate game and then transferred to Pokémon Ultra Sun & Ultra Moon. What is a good moveset for Exeggutor? The last Move for this Alolan Exeggutor? Are there any easier ways, other than a lengthy s.o.s chain, to get a harvest ability exeggcute/exeggcutor? 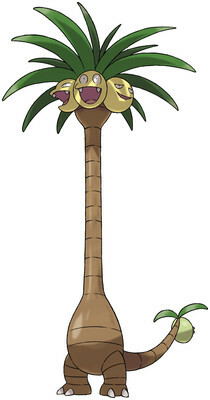 Will Exeggutor's hidden power type always be rock? Can exeggutor be used a staller/ wall on an OU sun team?